Is your powder coating or painting job process a bit sloppier than you prefer? No worries. At Harman Corporation, we offer an extensive selection of High-Temperature Paint Masks to help you get the precisely-painted edges and corners your products require and customers deserve. Whether your product specifications require Polyester Masking Tape and Silicone Tape or Polyester Masking Discs and Silicone Tapered Stoppers, we can offer you numerous sizes and colors of any product your job requires. Description Used frequently in the anodizing, plating, e-coating and powder-coating industries, these silicone-based stoppers are the standard for general plugging applications. Plus, because they're able to withstand such high-temperatures, these stoppers can be reused after most masking applications. Color coding is available by special order. Multiple sizes available. 1 mil Polyimide film with 1.5 mils of silicone adhesive that removes cleanly after cure temperatures as high as 500°F / 260°C. Kapton™ tape can be used for extended high temperature paint cures, baking between plating cycles, masking on PC boards, and many other high temperature applications. 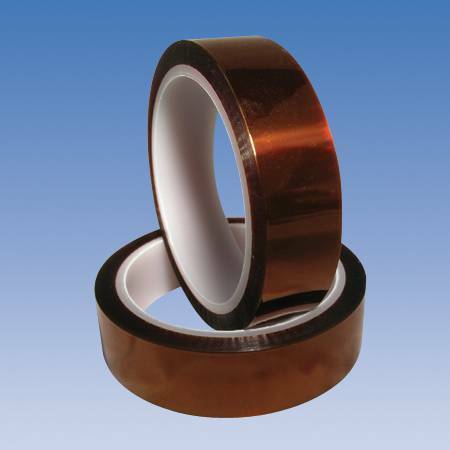 Description Built with Kapton's patented polyimide film and silicone adhesive, this industry-standard tape can be used for extended high-temperature paint cures up to 500°F, baking between plating cycles, masking on PC boards and many other high-temperature applications. Multiple sizes available. Recommended for powder coating. Withstands temperatures in excess of 315 Celsius/600 Fahrenheit. Reusable. This silicone material also offers excellent chemical resistance. Suitable for threaded or unthreaded holes. Description More economical than your standard silicone tapered stoppers, these hollow substitutes are designed for powder coating and masking practices, providing a reliable and high-temperature heat-resistant material for excellent chemical resistance. Plus, they're suitable for threaded and unthreaded holes. Multiple sizes available. The standard for most Powder Coating applications. 2 mil green polyester film with 1.5 mils of silicone adhesive. Green Poly is effective for cure temperature not exceeding 400°F/204°C. Description When it comes to powder-coating, our polyester masking tape has been the industry standard for decades. If you're doing any powder-coating, plating or anodizing, this high-temperature heat-resistant tape will easily apply to the areas not being coated or plated, plus remove without leaving behind any residue. Multiple sizes available. Our round Masking Discs are ideal for general powder coating. Extremely economical and remove cleanly from surfaces without leaving any residue. 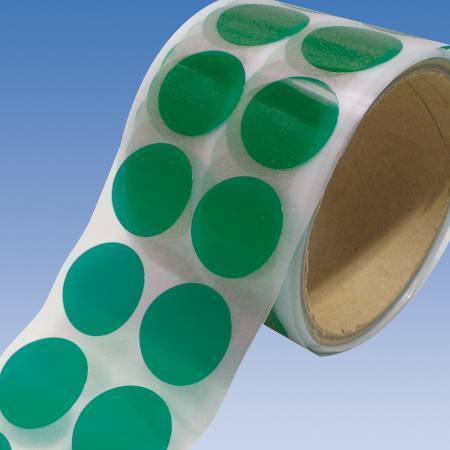 They are ideal for taping off holes, grounding areas, and circular machined surfaces. Total thickness is 3.5 mils without liner. Will withstand 204 Celsius / 400 Fahrenheit. Description Used in everything from powder coating and electroplating to anodizing and chrome plating practices, these versatile masking discs are made from an extremely heat-resistant and flexible polyester, making them ideal for taping off holes, grounding areas and circular machined surfaces. Plus, they're an extremely economical solution and remove cleanly from most surfaces, without leaving behind any residue. Multiple sizes available. Description Engineered to apply throughout numerous industries, our silicone tubing caters to processes requiring fluid transfer and extended pumping procedures, with a extra-smooth inner-coating to ensure ease of fluid transfer. Plus, this high-temperature heat-resistant tubing can be used for masking off irregular geometries, long protrusions and as a substitute for short-runs. Self-fusing tape is made of special fully cured silicone rubber compound that fuses to itself in minutes to form a permanent bond. Whether you call it fusible tape, self-fusing, self-vulcanizing, self-amalgamating tape or just silicone tape, this product is amazingly useful. This tape is ideal for electrical insulation, moisture protection and high / low temperature applications. Since there is no adhesive, no residue remains when the tape is removed making this the perfect alternative for for many applications which use adhesive electrical tape, duct tape and heat shrink tape. 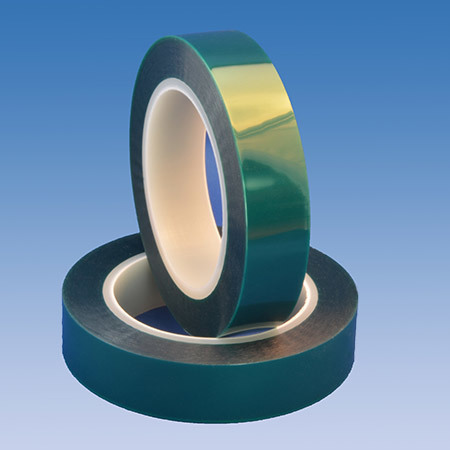 Description Commonly used for electrical installation, moisture prevention and high or low temperature applications, this self-fusing tape is made from specially-cured silicone rubber and can form a permanent bond in minutes. Also, since the product is free of adhesives, no residue is left behind upon removal. If you're looking for a more efficient alternative to electrical tape, duct tape and heat-shrink tape, this silicone tape product is your answer.